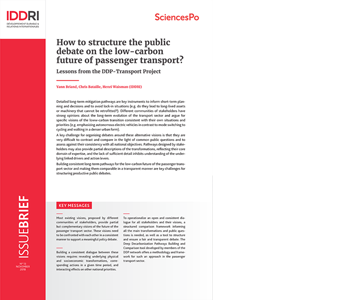 How to structure the public debate on the low-carbon future of passenger transport? Different communities of stakeholders have strong opinions about the long-term evolution of the transport sector and argue for specific visions of the low carbon transition consistent with their own situations and priorities. A key challenge for organizing debates around these alternative visions is that they are very difficult to contrast and compare in the light of common public questions and to assess against their consistency with all national objectives. 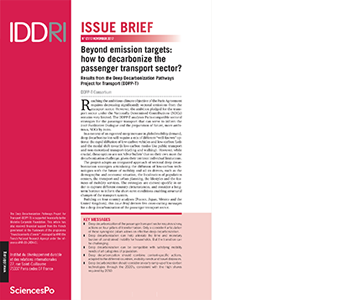 This issue analyses how building consistent long-term pathways for the low-carbon future of the passenger transport sector and making them comparable in a transparent manner are key challenges for structuring productive public debates. Beyond emission targets: how to decarbonize the passenger transport sector? 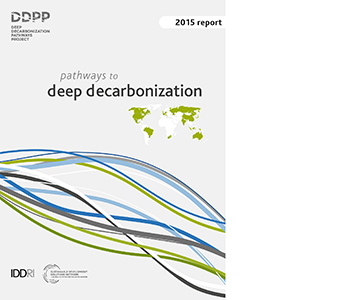 The Deep Decarbonization Pathways for Transport (DDP-T) project analyzes Paris-compatible sectoral strategies for the passenger transport that can serve to inform the 2018 Facilitative Dialogue and the preparation of future, more ambitious, NDCs by 2020. The project adopts an integrated approach of sectoral deep decarbonization strategies articulating the diffusion of low-carbon technologies with the future of mobility and all its drivers. Building on four country analyses (France, Japan, Mexico and the United Kingdom), this Issue Brief derives five cross-cutting messages for a deep decarbonization of the passenger transport sector. 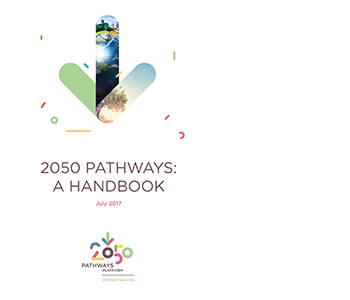 The 2050 Pathways Platform is an initiative that was launched in Marrakech at COP22. The objective of the Platform is to support countries, states, regions, cities and companies seeking to devise long-term, net zero-greenhouse gas, climate-resilient and sustainable development pathways. This technical paper presents guidance on how to conduct 2050 pathways analyses. It suggests criteria, principles and building blocks for a successful development of pathways, as well as selected illustrations. It is intended to be read together with: Why Develop 2050 Pathways?